Diamond is a very solid sportsbook. They always pay out quickly, even when I've hit a parlay. 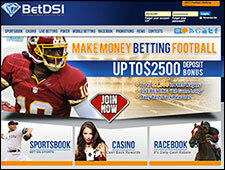 For those who are serious about betting on sports, this is a place I can highly recommend. Diamond Sportsbook is a leader in providing a safe, legal and secure place to bet on NFL, college football, horses, basketball, Baseball, hockey, NASCAR, boxing and many other sporting events from any location in the world. I guess you lost all your money gambling with Diamond, and that is why you're angry, in any case I'm sorry man but you better stop gambling, I have had an account with Diamond Sportsbook since 2001 and they pay me well on time. 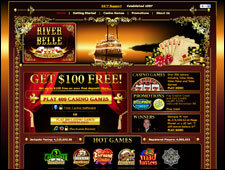 Great Wagering Website! After playing different books, this is the very first I'm happy with all-around. No difficult Customer Service, Super quick deposits when rushing shows up, and fast pay outs. No worries about having my money there. When I signed with them, they were presenting me heaven....but now I just lived hell with them.. They own me money, and I don't think I will be able to get it. Forget about them..only a bunch of SCAMMER, THIEFS and LIERS!!! Write a Diamond Sportsbook Review and share your thoughts with other players.